Earlier this month, NASA announced that Christina Koch and Anne McClain would take part in an unprecedented all-female spacewalk, to install new batteries on the International Space Station. Turns out, there won’t be a girls-only spacewalk after all. Having an all-female spacewalk was never a planned deal — it just happened to pan out that way. But given how unrepresented women are in space flight and the sciences in general, the media got understandably excited. Perhaps, however, it was too soon to get excited. 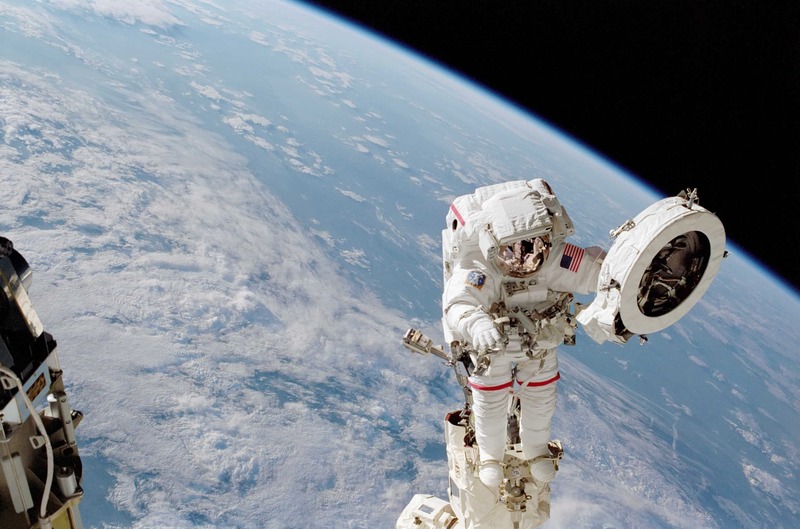 NASA has often made changes to its spacewalks, and they warned us that changes may occur. “It was not orchestrated to be this way,” NASA spokeswoman Stephanie Schierholz explained when the first news broke. “Spacewalk assignments may be adjusted if the flight operations team deems it necessary,” Schierholz wrote in the original press statement about the latest spacewalk schedule. Turns out, it wasn’t mean to be, due to a lack of adequate space suit sizes. McLain had trained in both M and L torso costume sizes, but although she grew by 2 cm since going on the ISS (astronauts in microgravity can grow significantly taller), she concluded that an M is definitely a better fit. However, there was only one M suit, and that needs to go to Koch, so the all-female mission will have to take a raincheck. Unfortunately, many took to social media to point the finger at NASA and blame them for this turn of events. Spacewalks are very complex and delicate missions, and they are not without danger. Being in a wrong-fit suit just adds more unnecessary risks, and NASA opted for the simplest solution: replace the astronaut, not the suit. It was a practical consideration. It’s not like NASA has the luxury of storing extra suits — they barely have enough suits as it is. “Of the 11 remaining complete and functional spacesuits, 4 are kept on the ISS and the remaining 7 are on Earth in various stages of refurbishment and maintenance,” a 2017 audit stated. This being said, we are still waiting for an all-female mission. It would be an important landmark and one which, at the very least, NASA is now aware of. More than 500 people have been into space, but only 11% of them have been women. The first woman to perform a spacewalk was the Soviet cosmonaut Svetlana Savitskaya, 35 years ago. When McClain took part in a spacewalk last week, she became only the 13th woman to do so. Koch will be the 14th. Both Koch and Mclain were part of Nasa’s 2013 class, which was half female.